Can't believe another year has passed! We want to thank all of our loyal friends and customers for your support in 2018. 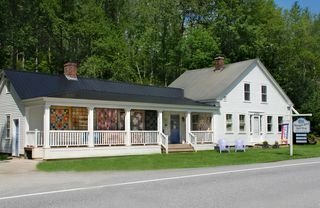 We are looking forward to another exciting year of sewing and quilting. We are expecting lots of new fabric, books and patterns to get your "juices flowing"! 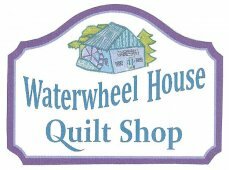 We have ordered Kaffe Fassett Collective's newest line coming in February, "Pinkerton" Tula Pink's newest line, coming in March, "Murmer" by Valorie Wells coming in May just to name a few! We also finished the 12 month program "Rainy Days and Sun Days" by Katja Marek. 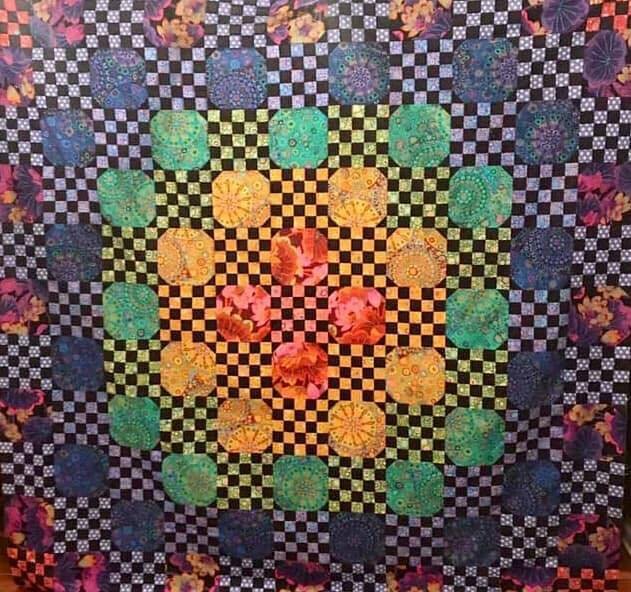 I am now working on hand stitching the Dresden blocks to the "Rainy Day Background"
This will be my first finish for 2019. 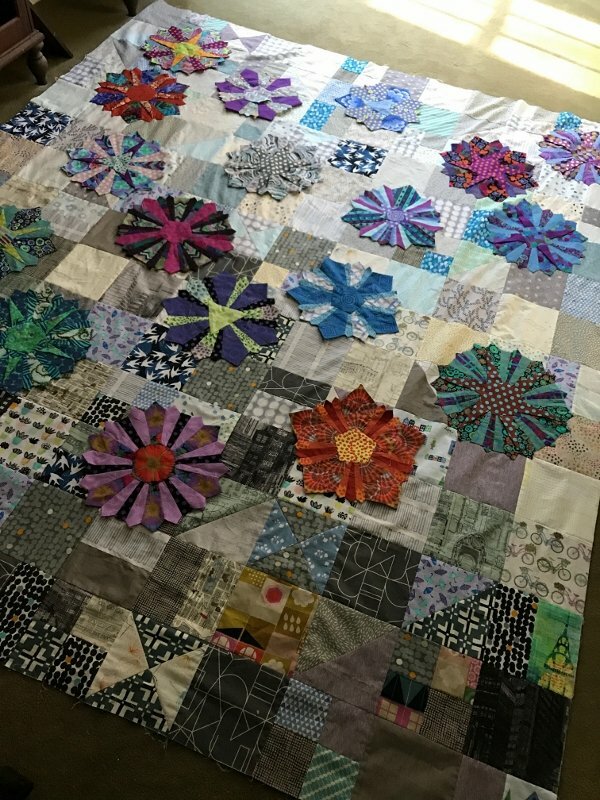 We will be starting a new Block of the Month soon! 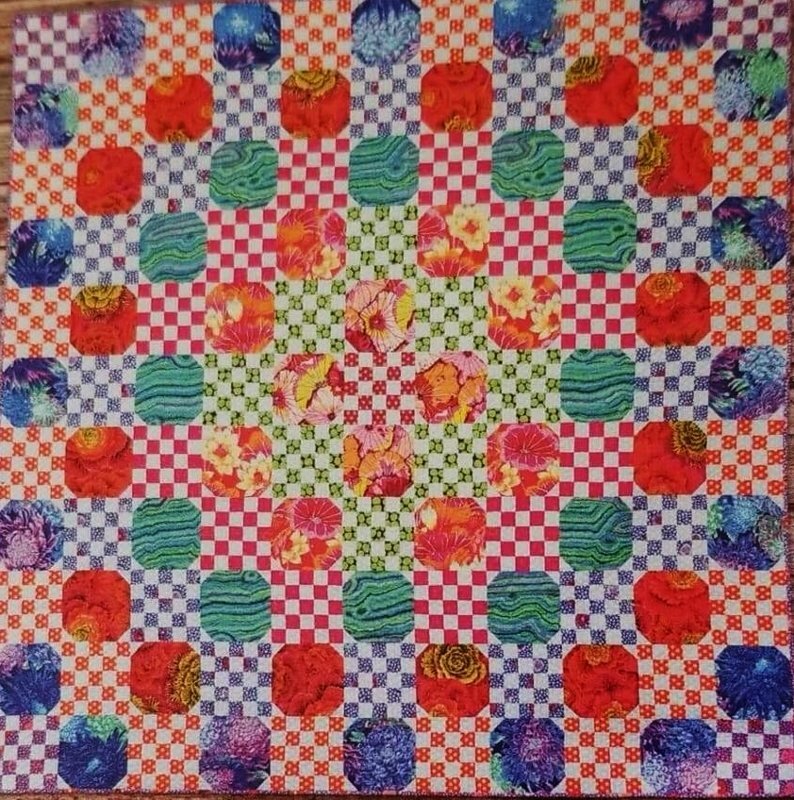 We know it will be a 'Fusible Applique" quilt. 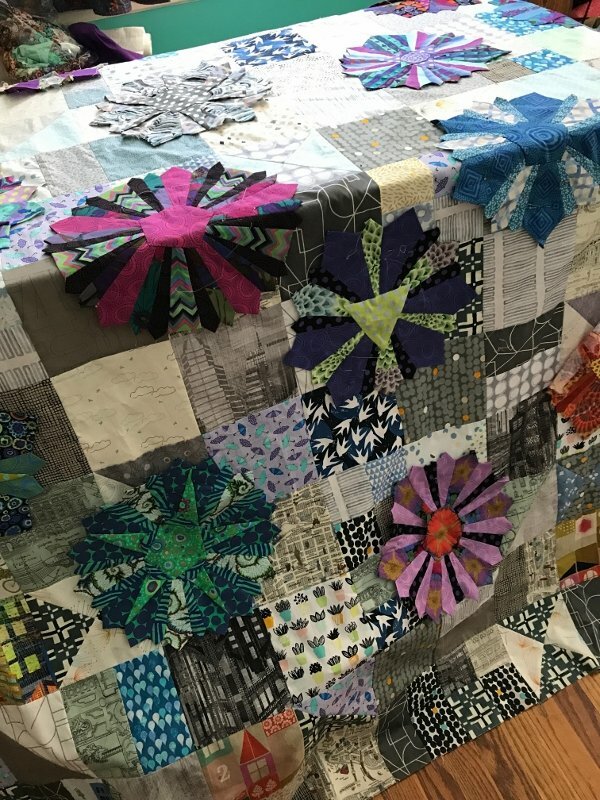 We have begun to pull the fabrics for the first block! Stay tuned! We are clearing out our "Previously Loved" Berninas. Create the look of hand sewn fagoting entirely by machine using decorative stitches to join 2 pieces of fabric together. The attachment acts as a spacer so the stitches are sewn from edge to edge with a consistent distance between them, creating an open lacy look. 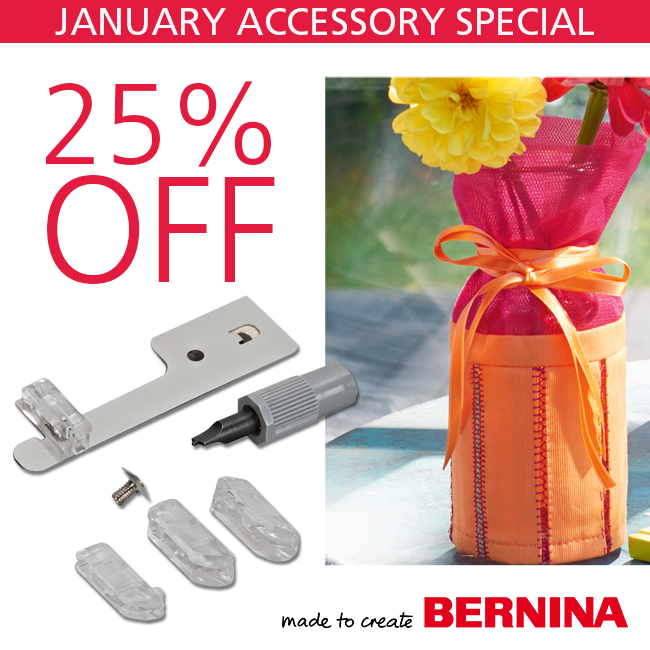 This accessory will fit any Bernina Machine. Sounds like fun! Do you have an embroidery module for your Bernina? Would you like to explore some different techniques with your machine? We offer private and small group lessons. Just pick a date and give us a call. 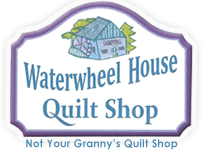 We are always available to help you with your machines as well as with your quilting projects! Enjoy January! Hope to see you soon!